Have a Matterport virtual tour of an office space to share? Here's an example of how Cube Cities can precisely geolocate the Matterport tour on a building floor and show the space in our 3D city environment using Cesium. 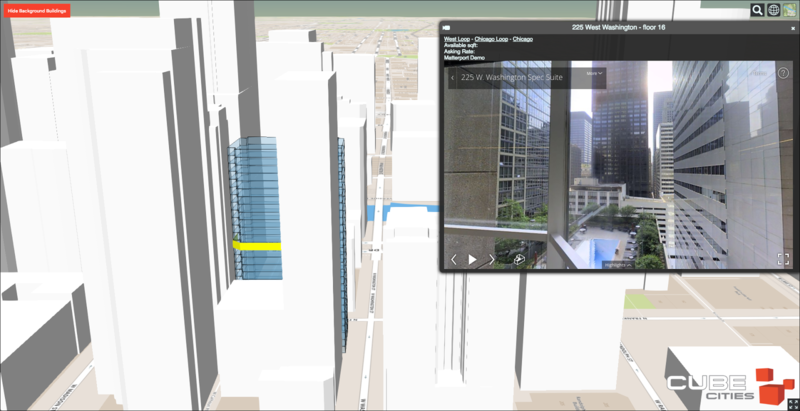 This helps communicate exactly where office or retail space is located in a building, how the space is demised and where the view looks out onto. 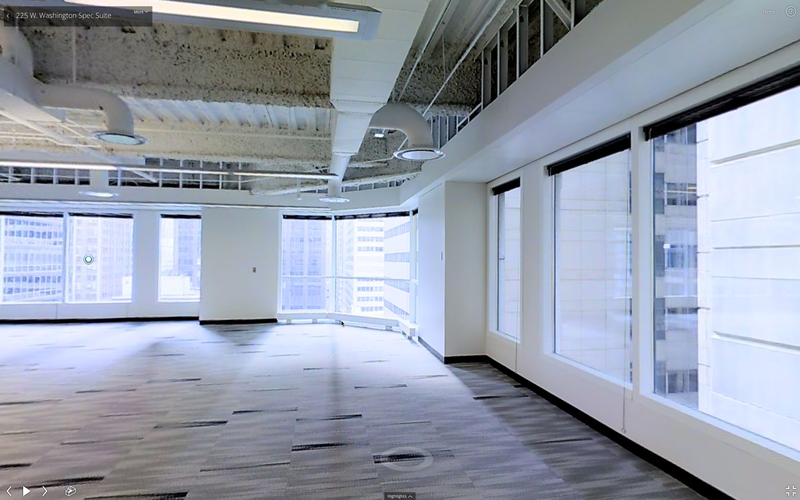 Try our Matterport demo to go inside a floor in Chicago's 225 W. Washington office building.